NEW YORK (AP) — Los Angeles Dodgers pitcher Hyun-Jin Ryu was the only player to accept among the seven given $17.9 million qualifying offers by their former teams on Nov. 2. Ryu accepted the offer before Monday’s deadline and is considered a signed player. He is just the sixth to accept among the 80 qualifying offers made since the process began in 2012. 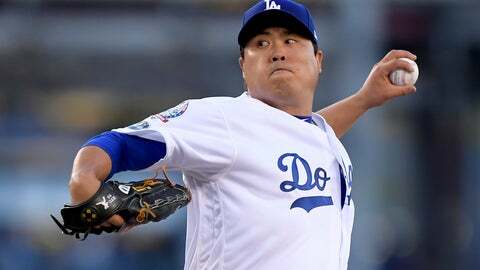 A 31-year-old left-hander, Ryu was 7-3 with a 1.97 ERA in 15 starts, sidelined from May 2 to Aug. 15 by a groin injury. Among those who didn’t accept were outfielder Bryce Harper (Washington), closer Craig Kimbrel (Boston), left-handers Patrick Corbin (Arizona) and Dallas Keuchel (Houston), outfielder A.J. Pollock (Arizona) and catcher Yasmani Grandal (Dodgers). If a player who turned down a qualifying offer signs a major league contract with another club before the June amateur draft, his former club will receive a draft pick as compensation at the end of the first round.